The issue of safety is always in the middle of the debate. Backup cameras will be required in all new vehicles, starting in 2018. They're about to become mandatory. The gadget is defined to be an all-important safety tool designed to fight blind spots appearing while a vehicle is reversing. You don't need to buy a new car to get a back-up camera, though, or spend a lot to add one to an existing vehicle. This small device manufactured by Peak sends live images of whatever is happening behind your vehicle to a screen on the dashboard, preventing collision and subsequent crash. It is aimed to make your life easier. 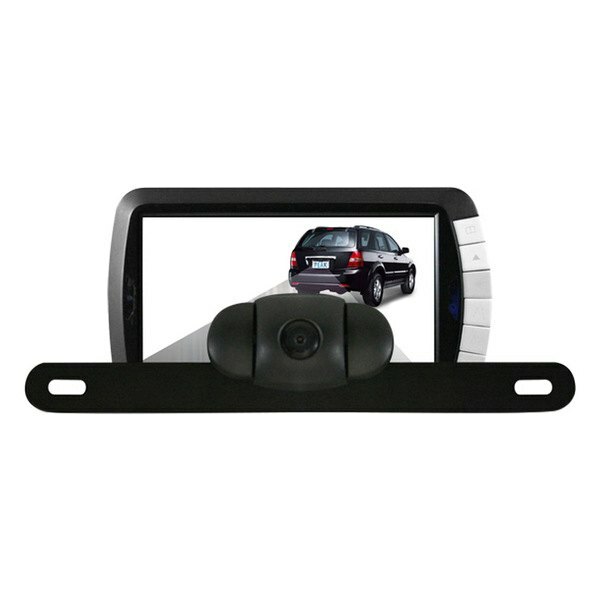 It comes with LCD color monitor, which securely affixes to your windshield or dashboard with suction cup mounts for easy-to-see rear coverage. It also includes an A/V input with straps allowing for visor mounting. A water resistant color camera attaches to the back of your ride’s license plate for complete rear view coverage, and a 2.4 GHz wireless transmitter installs on most vehicles in just minutes. It’s perfect for cars, SUV's, trucks, RV's and for towing boats or campers. A 12V DC Power Cord and all mounting hardware are included. This video was filmed by Car and Driver Magazine. It will give you an idea on how to install the back up camera on your vehicle. Which option is the most preferable for you?